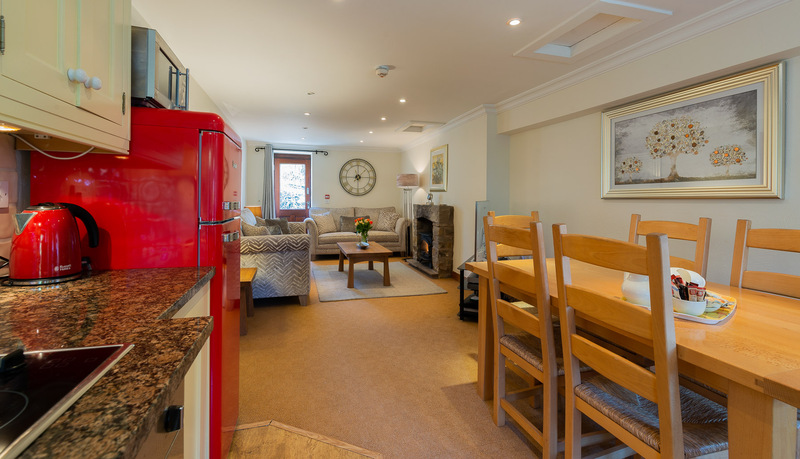 Enjoy our Luxury Self Catering Lancashire property called Leagram. This is named after the historic local estate which commands views over the vale of Chipping. Our Leagram Apartment is one of our larger properties and situated on the first floor of Wolfen Mill. 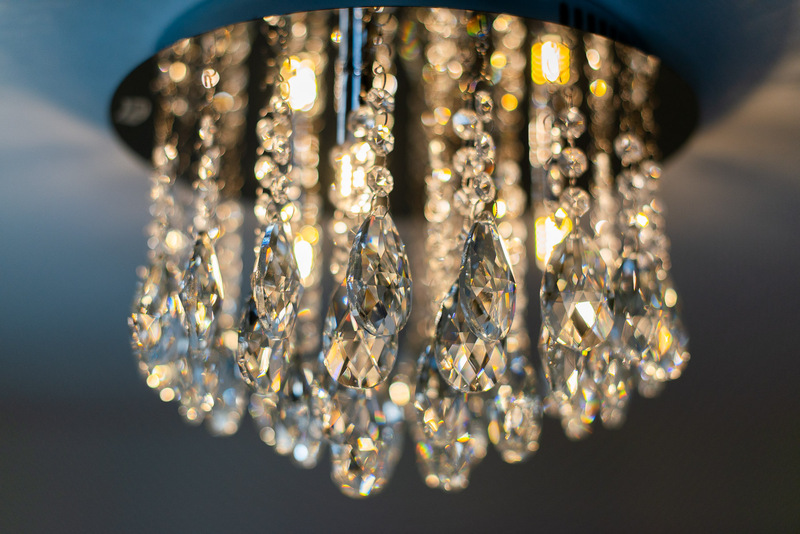 Leagram offers you a beautiful boutique styled luxury self catering Lancashire apartment. 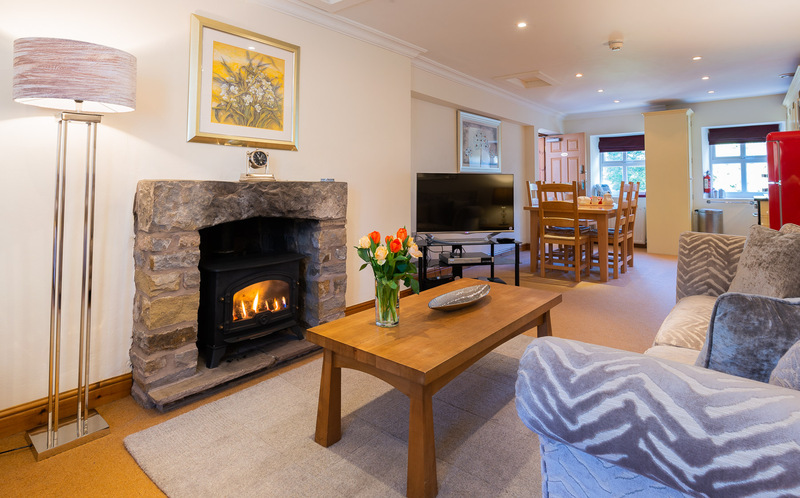 Its furnished to a high standard from which you can unwind, relax and enjoy the beautiful area of the Forest of Bowland. Leagram sleeps up to six people. 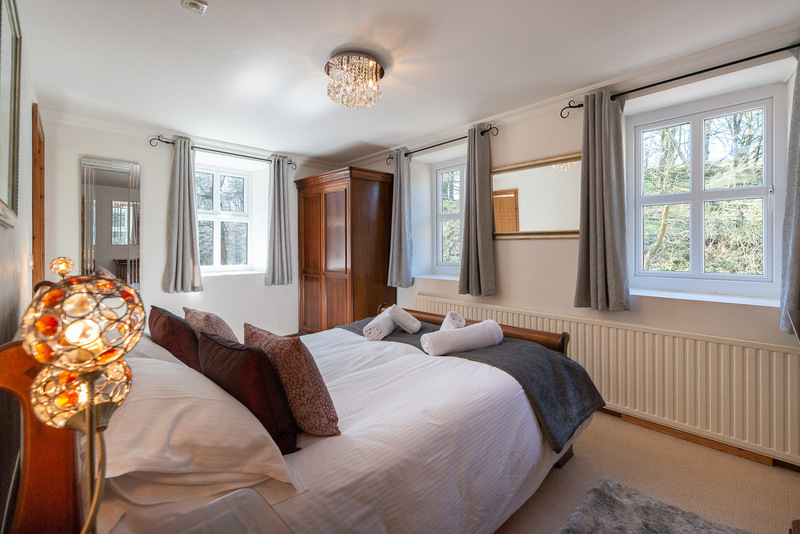 The master bedroom had a king size sleigh bed and has its own luxury shower room. A twin bedded room and a further bunk room share a further shower room fitted to the same high standard. The lounge has two comfy three seater sofas. 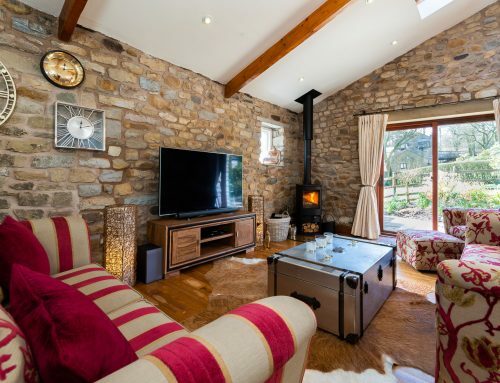 It has an open stone built fire place fitted with a living flame gas stove. It also has an LCD TV, Amazon and Netflix access and Iplayer catchup. A Blue Ray disk player and blue tooth dock to play your music. Enjoy use of our FREE fibre Broadband with WiFi internet access. The dinning and kitchen are well equiped with hand built units and granite work tops. 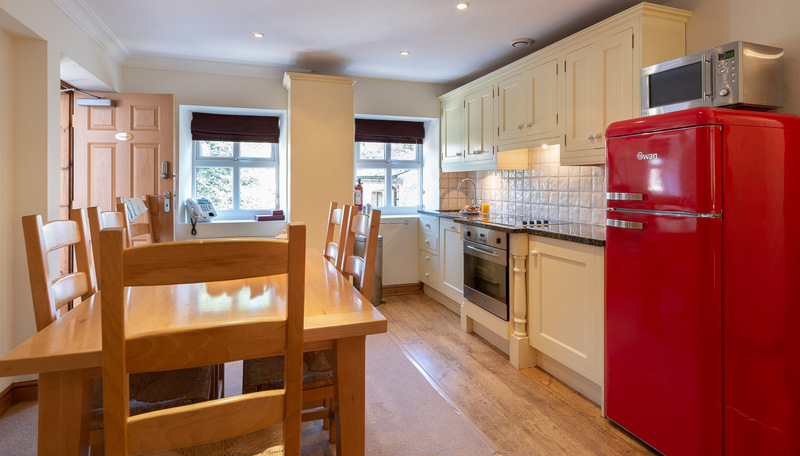 Dishwasher, Retro style designer fridge freezer, microwave, halogen hob and fan assisted oven are at your disposal. Washing and drying facilities are available on site at no extra charge. Leagram is a beautiful and spacious property. 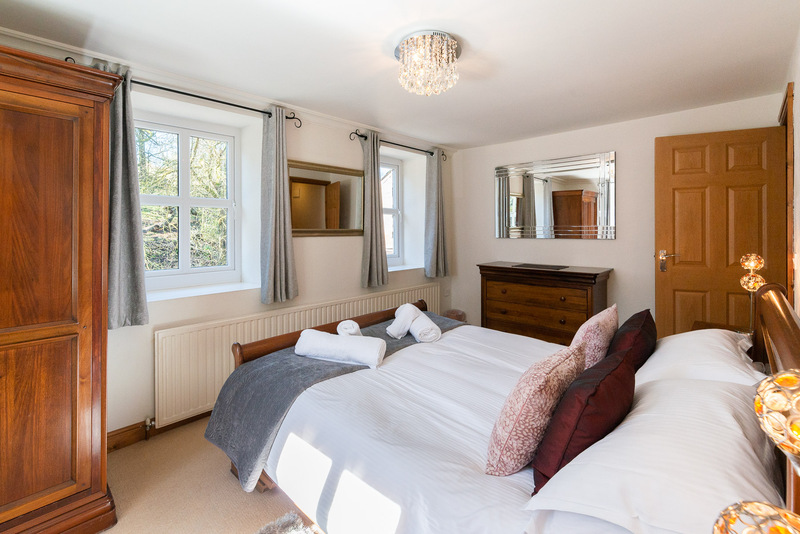 It has views overlooking the courtyard and gardens as well as the woodlands at Wolfen Mill and we receive many comments on the quality of the accommodation offered. We cannot accept pets though in Leagram. 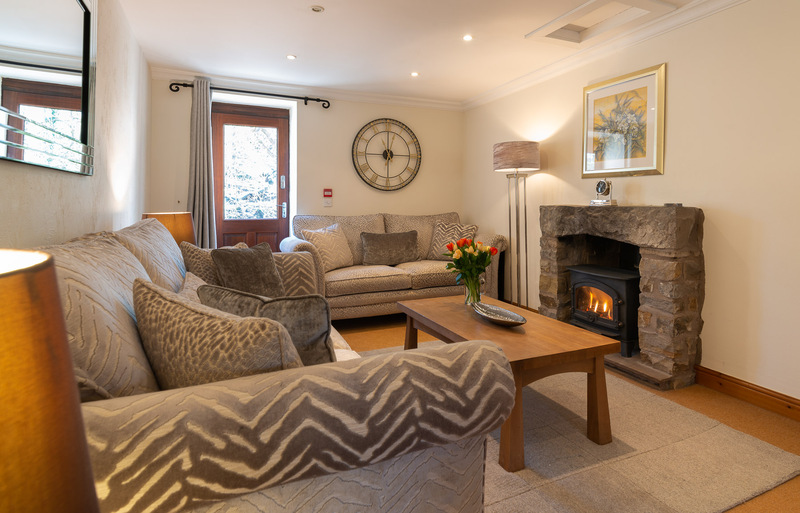 Leagram offers you a perfect Luxury self catering Lancashire property in which you can a enjoy a break in the Forest of Bowland. 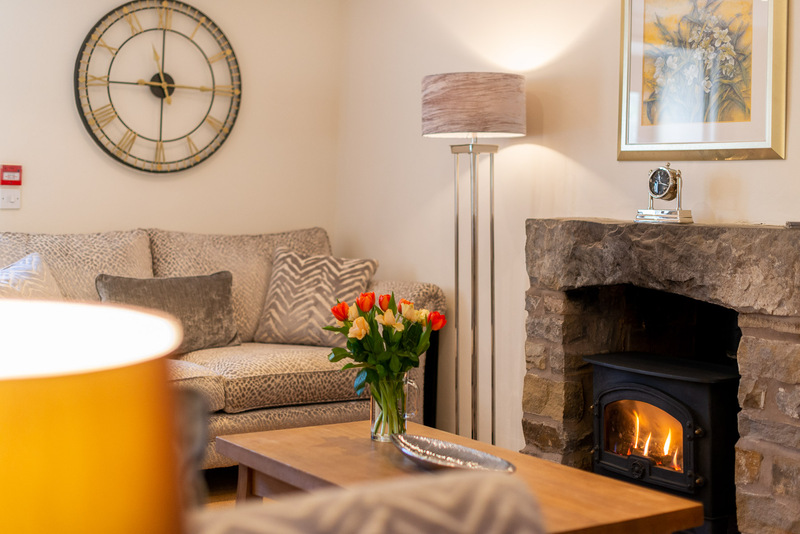 For other luxury self catering Lancashire holiday cottages click on holiday cottage in the navigation bar above. 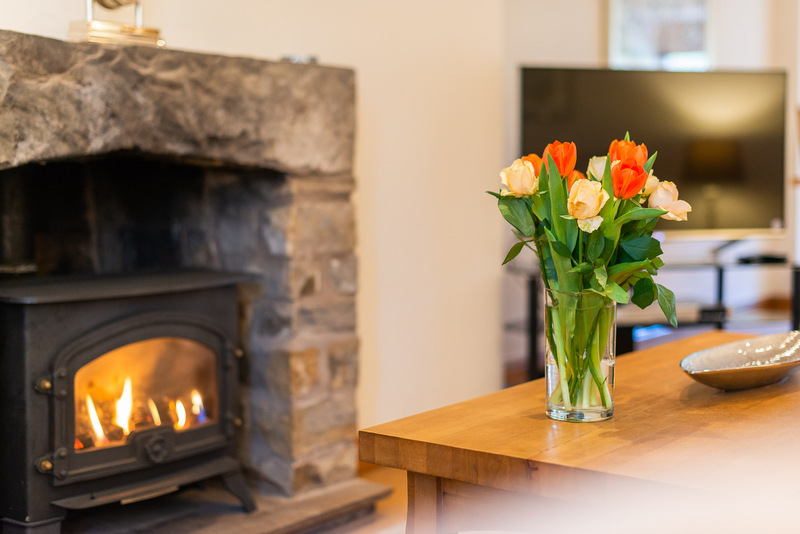 Our luxury self catering Lancashire cottage above and our other luxury self catering holiday cottages in Lancashire will provide a great opportunity for a break away.